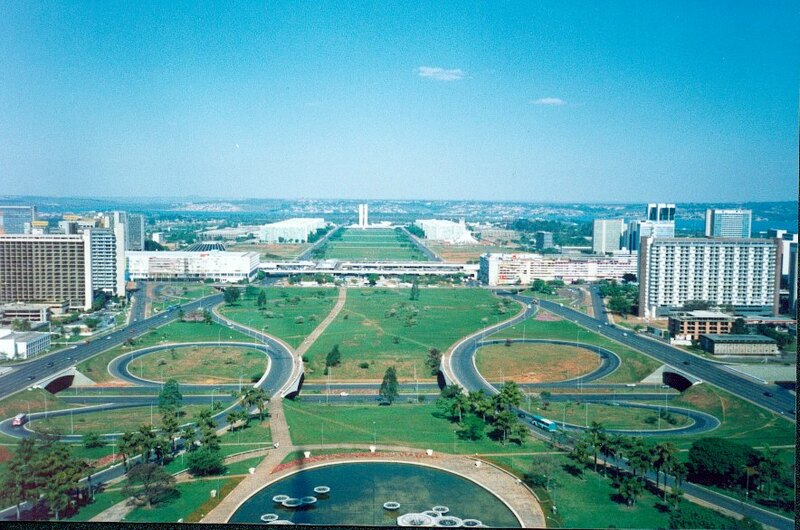 If you walk through parts of Brasília, it's hard to believe that it wasn't modeled, at least architecturally, upon Washington, D.C. when it was built in the late 1950. But when it comes to the voting rights of its capital's citizens, Brazil has looked beyond the American example. Last month, when Brazil held a general election, some 2.5 million voters in the Brazilian Distrito Federal voted for a new governor, eight members to the Chamber of Deputies, the lower house of Brazil's National Congress, and one of its three members to the Senate, its upper house. In that regard, Brazil's DF is not unlike any other state in the country. Remarkably, with one deputy per 310,000 residents, that's a better ratio of representation than the residents of Brazil's largest state, the far more populous São Paulo. It's a typical and unremarkable arrangement around the world, and it's not unlike Mexico's Federal District (Mexico City), India's Delhi Capital Territory and even places with a much more limited history of democracy, including Nigeria's Federal Capital Territory (Abuja) and Malaysia's Federal Territory of Kuala Lumpur. With the Republican Party poised to take control of both houses of the U.S. Congress, it's an oddity that doesn't seem likely to change anytime soon, no matter how much of an anomaly it makes the United States. Doing so would almost certainly add a congressperson and two senators from one of the most reliably Democratic electorates in the country. The story of D.C. disenfranchisement is a long one that touches many of the most troubling aspects of American life, and the fact that District residents today lack representation in either house of Congress is the sad legacy of neglect, racism, partisanship and a large amount of southern conservative intransigence, according to Michael K. Fauntroy, an associate professor of political science at Howard University, who has written extensively on the District's political history. 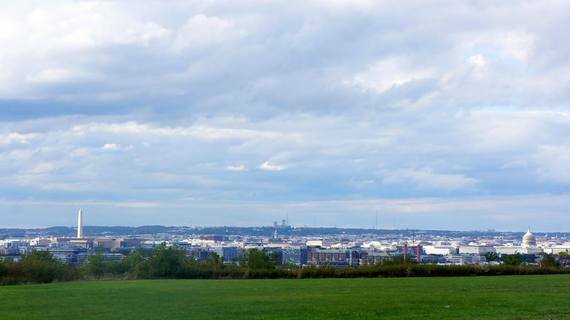 Even with a growing deluge of urban (chiefly white) newcomers to Washington, the District's population is still, as of the 2010 census, around 50.7% African-American. That means that the only black-majority state or district in the United States is the one that still has no representation in Congress. Even in Nigeria, which is hardly known for its democratic pedigree, residents of the Federal Capital Territory -- formed in 1976 when the country moved its capital from coastal Lagos to the more central Abuja -- are entitled to elect one senator and two representatives to the House of Representatives. Despite small gains, such as the 23rd Amendment, which granted electoral votes to the District for presidential elections, starting in 1964, and the 1973 District of Columbia Home Rule Act, which provides limited autonomy and an elected mayor, D.C. voters still lack representation in the U.S. Congress. In 1971, Congress gave the District the right to elect a non-voting delegate to the House of Representatives, a position that was first held by Fauntroy's uncle, Walter Fauntroy and since 1991, has been held by Eleanor Holmes Norton, both of whom are Democrats. Nevertheless, Fauntroy blames both parties for ignoring the issue. "The Democrats have not distinguished themselves on this question either," he said. "I don't know what it is President Obama wants to do, but... almost six full years into his presidency, I don't know that the ball has been moved one inch." Perhaps the country with the clearest precedent for D.C. is Australia. Canberra became the national capital in 1913, but it wasn't until 1968 that the capital's residents won full-fledged representation in the Australian House of Representatives, and it wasn't until 1975 that Australia's parliament granted the Australian Capital Territory representation in the Senate, when Canberra and the Northern Territory both received two senatorial spots. "With Canberra and the Northern Territory both being represented by Labour MPs, and with the Conservatives in power, [the government] seemed to have been disinterested in giving them votes in parliament," said Geoffrey Robinson, a professor at Deakin University in Mebourne. "It wasn't until 1968 when the Conservatives won the Northern Territory that they thought, 'Well, you know, we'll give Canberra a vote, we'll give the Northern Territory a vote.' So there does seem to have been a political factor in terms of depriving these areas of a vote because they had been voting Labour." Robinson noted that if, in 1961, the Northern Territory and Canberra were allowed to vote in national parliamentary elections, and the opposition Labour Party won those seats, the Conservatives would have lost power. Similarly, two additional senators from D.C. could similarly shift the balance of power in the U.S. Senate. In the 2012 presidential election, Barack Obama won 90.9 percent of the D.C. vote and, since 1964, no Democrat has won less than 74.9 percent of the presidential vote (the "low point" came for Jimmy Carter in 1980). But that's not necessarily unlike Mexico City, which has become a stronghold for the left-wing Party of the Democratic Revolution (PRD), or Kuala Lumpur, a stronghold of Malaysia's opposition People's Alliance (PR). The Australian example strongly hints that the path forward for greater D.C. voting rights must include the kind of 'seat swap' deal that was briefly considered in 2009, which would have given heavily Republican Utah an additional seat in the U.S. House alongside a seat for the District. When Congress has admitted states in the past, it's been with a similar sense of balance, whether between free and slaves states in the antebellum period or, more recently, on the basis of partisan considerations. In 1959, everyone thought that Democratic-leaning Alaska and the Republican-leaning Hawaii would cancel each other out. Ironically, today, Alaska is among the reddest of red states and Hawaii equally blue. Though the Home Rule Act gave the District much more autonomy, it falls far short of the kind of freedom that many governments have handed to national capitals and federal districts increasingly over the past two decades. In Belgium, for example, Brussels and the Capital Region, stuck between the Dutch-speaking Flanders and French-speaking Wallonia, has had its own parliament since 2004. Even as the United Kingdom struggles with questions of regional representation, recently on display in September's Scottish independence referendum, the trend of devolution to Scotland, Wales and Northern Ireland also extended to London. In 1998, the British capital won its own citywide assembly and the right to elect its own mayor, an office that's given national political profiles to both of its occupants, socialist Ken Livingstone and, today, the affable, mop-haired Conservative Boris Johnson. In Washington today, however, even with an elected mayor, Congressional appropriations oversight over the District's budget can leave it exposed to national political paralysis. "The 1973 Home Rule Act was a compromise," Fauntroy said. "I believe that supporters of the bill gave away too much in exchange for Republican support. If you look at some of the autonomy questions that were in the original bill... Democrats felt that if they didn't 'get it now,' they might never get it and did not push for some of the natural by-products of democracy that, looking back on it 40 years later, would seem to be no-brainers." Last September, during the 21-day federal government shutdown, mayor Vincent Gray defied Congress and kept District government offices running, notwithstanding the questionable constitutionality of Gray's affirmation that he would continue spending local revenues generated for the express purpose of funding local government. Moreover, the rise of the "anti-Washington" mood among conservatives over the last four decades has obscured the notion that greater local authority and representation for D.C. residents is simpatico with one of the most fundamental principles of the American right -- namely, the idea that local government is more effective than federal control. It's an idea that's just as salient five miles from Capitol Hill as it is 500 miles. "Unfortunately, the overwhelming majority of Americans can't distinguish official federal Washington from Washington, D.C.," Fauntroy said. "As a result, they don't want to hear any lessons about greater autonomy in D.C. because they think that means that all you're doing is making national government stronger."